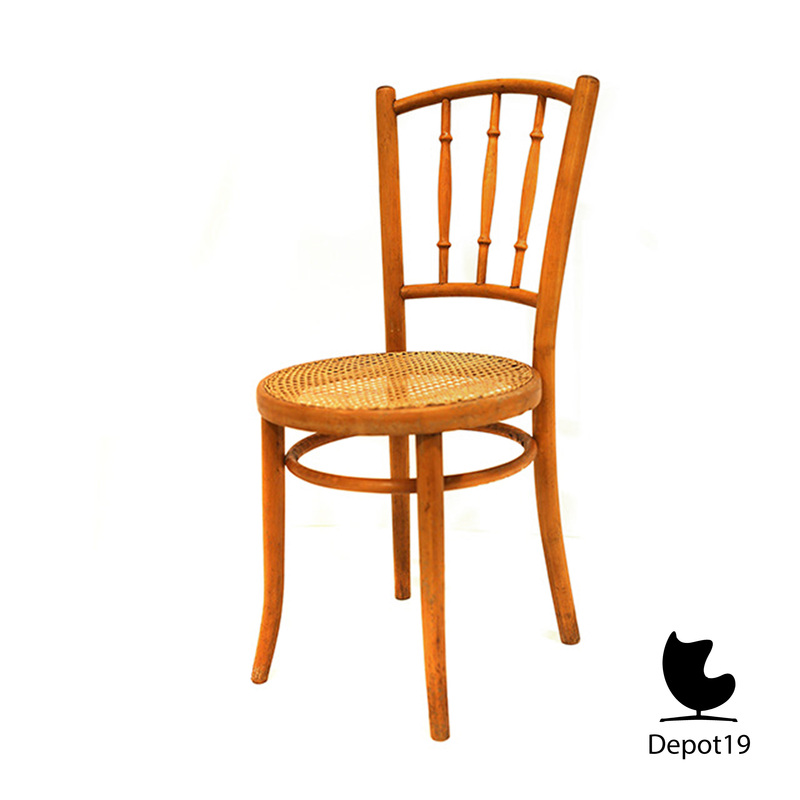 Antique spindle chair with twisted spindles made by Thonet. Designed by Michael Thonet, created by the Thonet Brothers. In beech. The chair is marked with the label that was used between 1888 and 1922. This chair is in a good vintage condition.